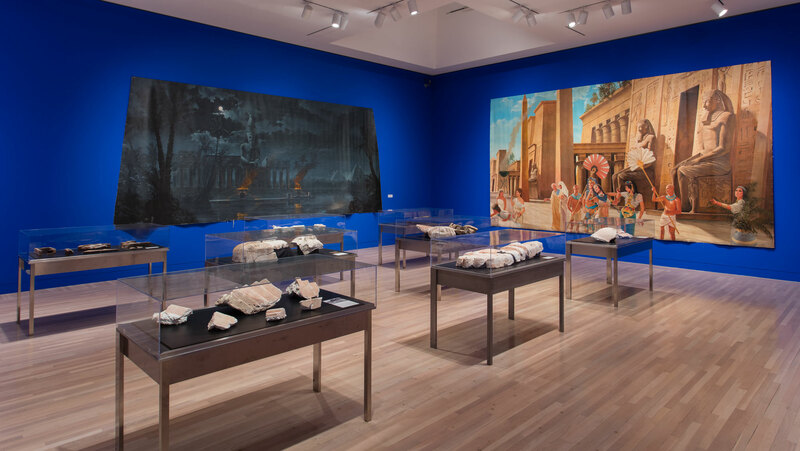 Prompted by a passage from The Autobiography of Cecil B. DeMille in which the filmmaker recounts the demolition of the masterful sets created for the epic 1923 film The Ten Commandments, Daniel R. Small embarked on an archaeological project of gargantuan proportions. 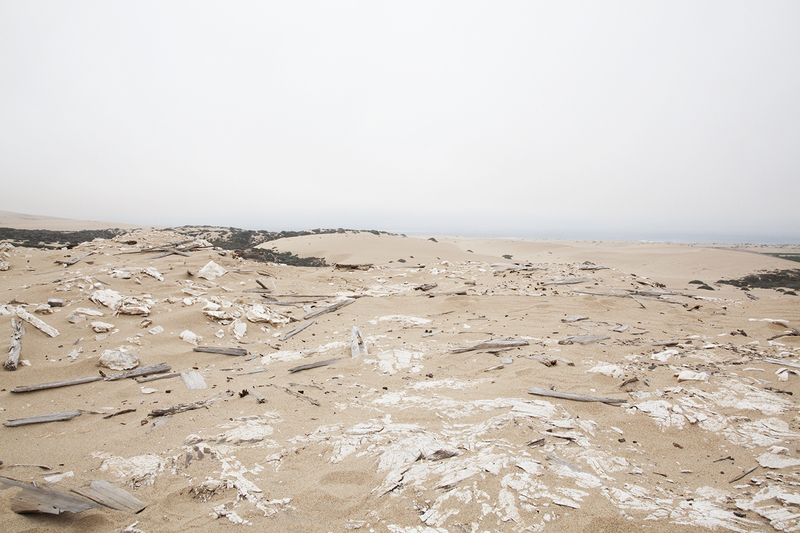 The colossal film set, which was loosely modeled on the ancient Egyptian city of Pi-Ramesses, was left by the director to decay in the sands of Guadalupe, California, just north of Santa Barbara. Concerned that other directors might use the set for their own films, DeMille had it destroyed and buried. 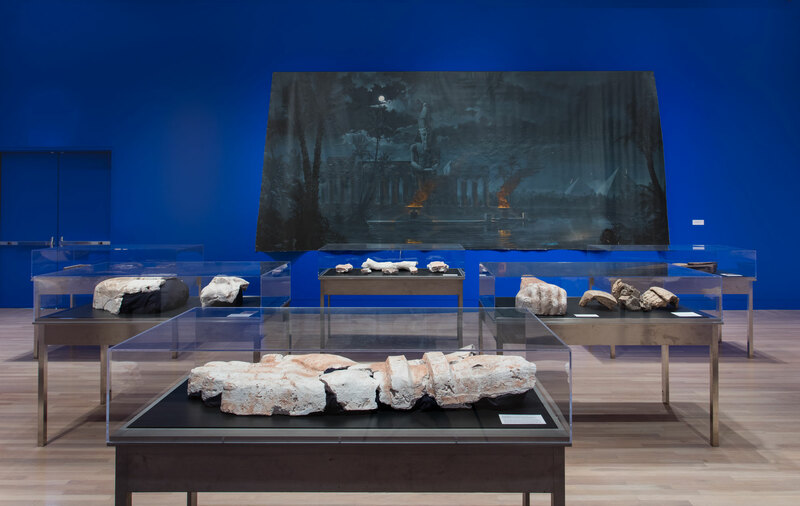 The cultural materials that have since been recovered at the site by Small, archaeologists, and local historians are the products of decades of accumulation, their meaning and provenance infused with speculation and fantasy. Small’s project Excavation II (2016) delves into the many origin myths that surround DeMille’s film and the Egyptian past that it attempted to replicate. 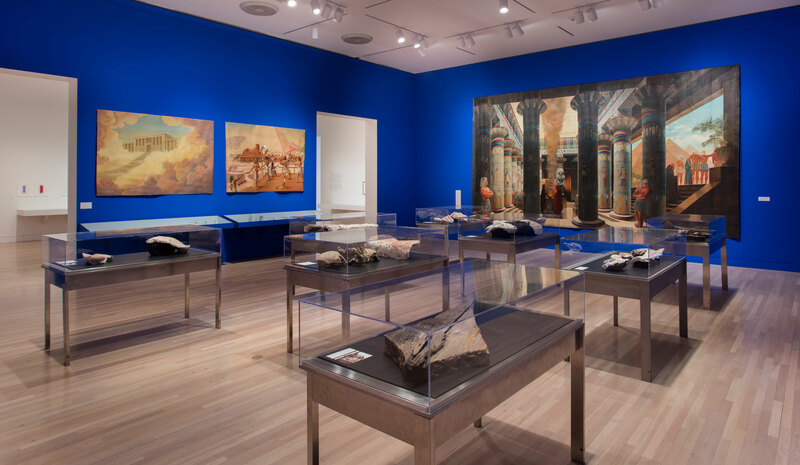 In many senses, Small’s research is the product of three thousand years’ worth of history, in which the representations of ancient Egypt come to replace and inform our reception of so-called historical truths. 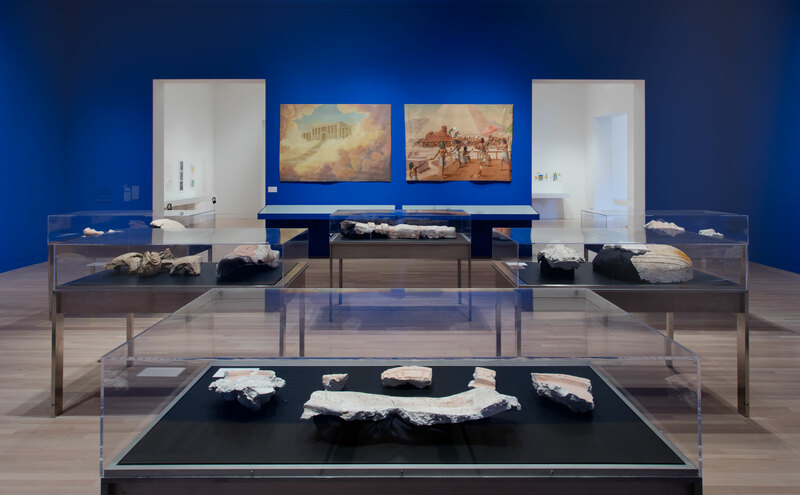 The installation of Excavation II at the Hammer includes materials and artifacts unearthed by the artist as well as loans from such entities as the Guadalupe-Nipomo Dunes Center, a local Napa Auto Parts store, and descendants of an actor cast in the original film. The breadth of Small’s research into this territory has shed light on many topics, including the material culture of the encampments for cast and crew erected in the immediate vicinity of the film set as well as parallels between the production design for the 1923 film and the decor conceived for the Luxor Hotel and Casino in Las Vegas seventy years later. Small’s project encapsulates many strains and narratives within its expansive reach, touching on the history of epic American cinema, the social conditions of California’s central valley, the fantasies projected onto ancient Egypt, and how history comes to privilege representations of the past.